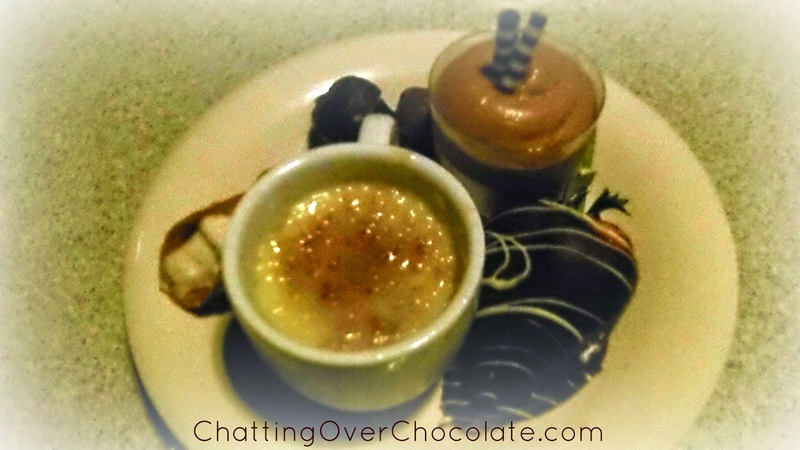 During our last "just the two of us" WDW trip back in 2011, Jason treated me to a super "sweet" birthday gift! 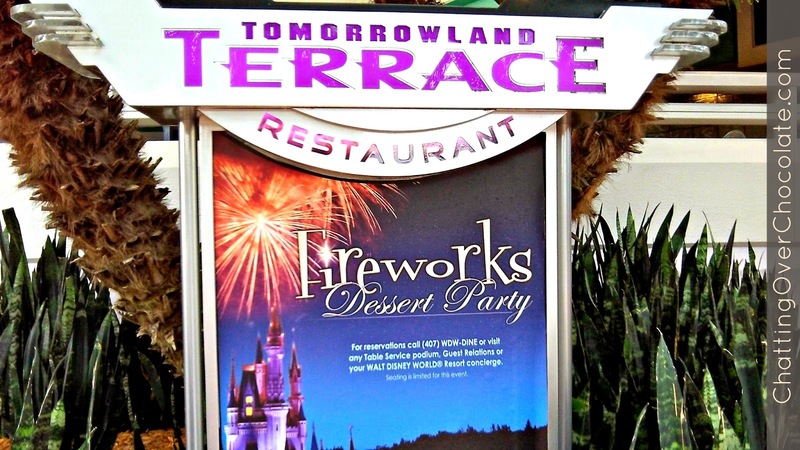 We celebrated my special day (one week belated) at Disney's Tomorrowland Terrace Fireworks Dessert Party! 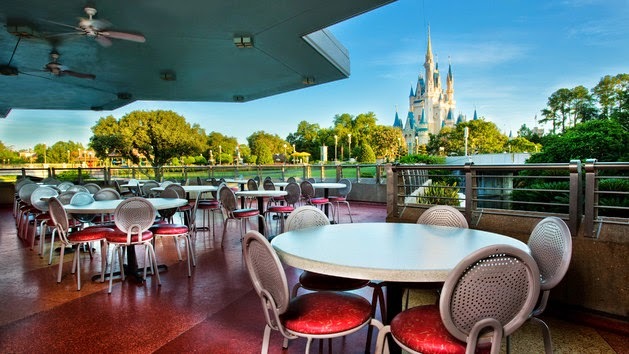 We were given a table for two nearest the railing facing Cinderella Castle, the best view at the restaurant, I'd say! They had a Disney PhotoPass photographer at the event to snap a photo of each group. The castle just happened to be lit the same shade as my dress when we had our photo taken. 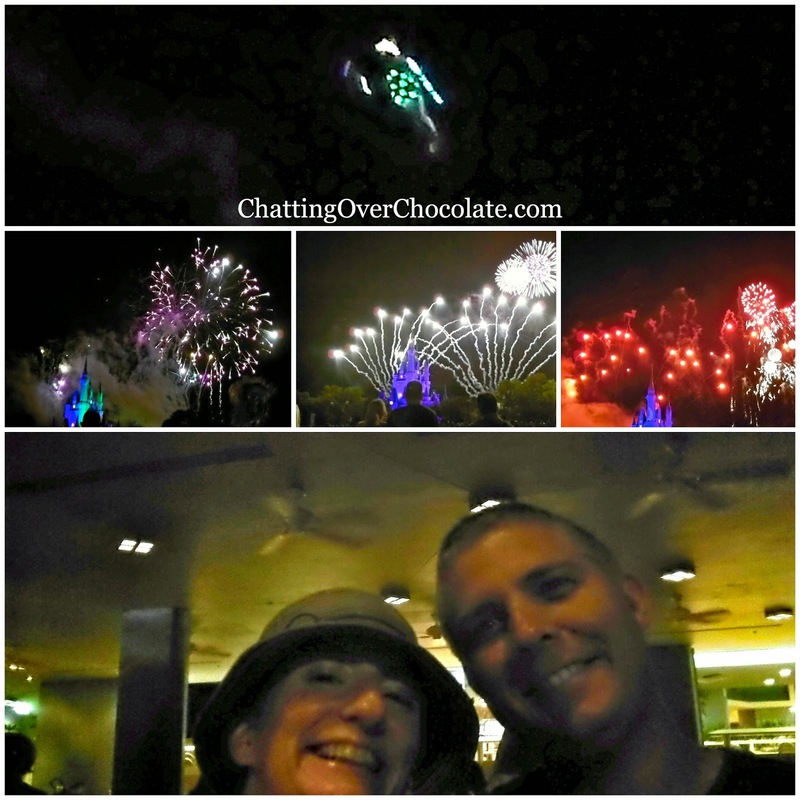 As we sat down with our treats we enjoyed the soundtrack of the Main Street Electrical Parade and watched it glow as it passed at a distance. I smiled so much that my (happy) tear soaked cheeks were sore by the end of the night! 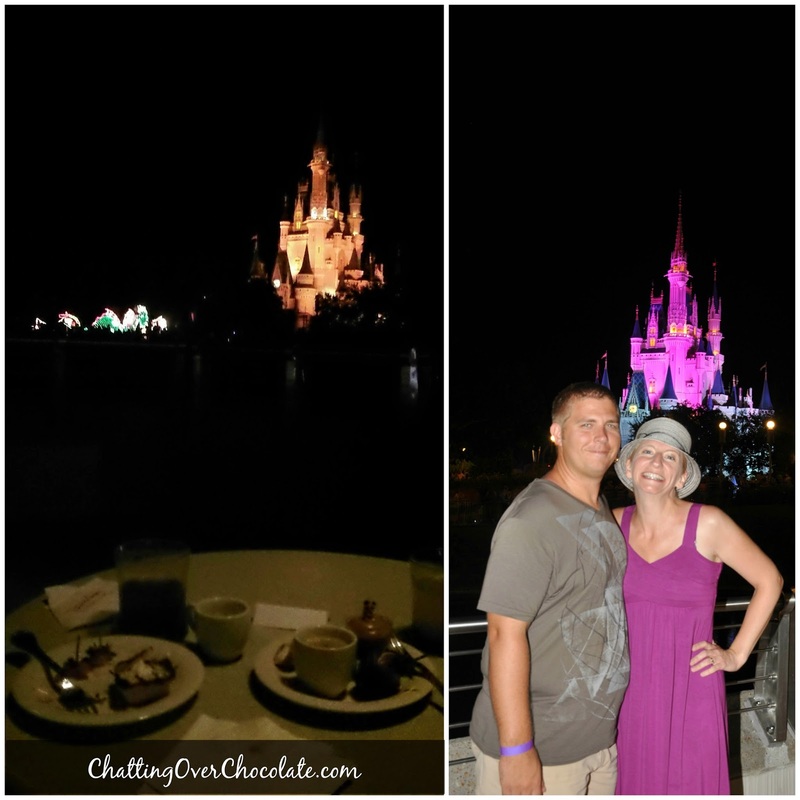 It was one of the most magical evenings that I've ever experienced at Walt Disney World (and that's saying a lot)! Tinkerbell flew right above us! In the months leading up to this party, I imagined myself overindulging on every goodie offered at the event. Honestly, the desserts were just one sweet lit'l part of the night. The real treat was the experience itself. I sat there beside the love of my life, in the most magical place on the planet, enjoying a breathtaking view of Disney at it's best. Nights don't get much better than that! ...and all my wishes, did come true! 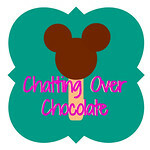 This post could not have come at a better time, I've done Disney many times but never the dessert party and we booked it for our upcoming trip in September. I'm so excited!!! 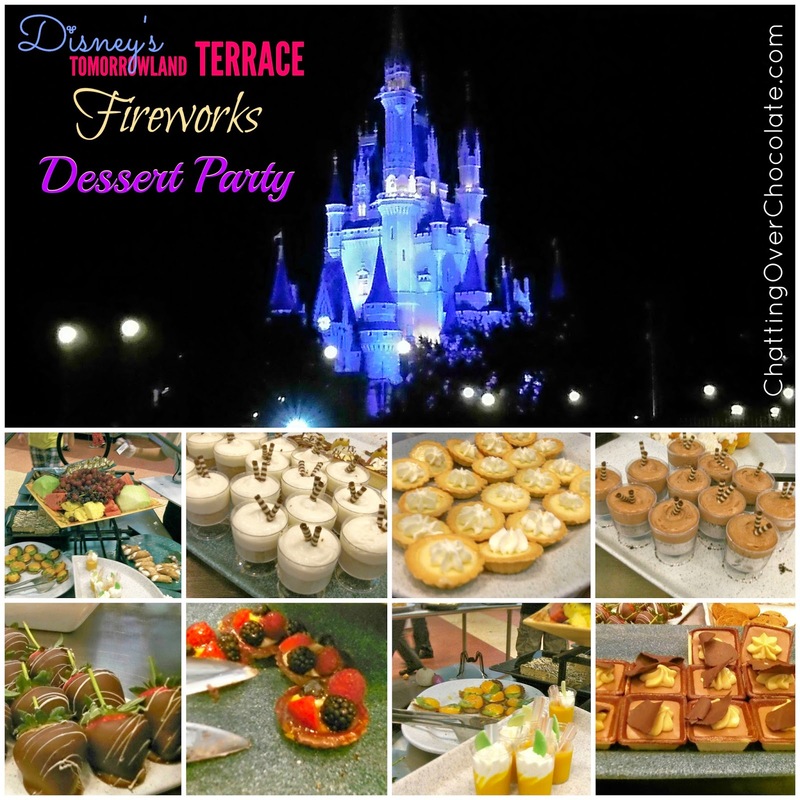 Desserts AND fireworks?! Sounds awesome to me! I love that you smiled so much that your cheeks were sore :) Thanks for sharing, Brenda! I so want to do this when Aria can reliably stay up that late! Totally beats being pushed around anywhere else. I'd eat all the chocolate covered strawberries =) We've never done any of the things like this. 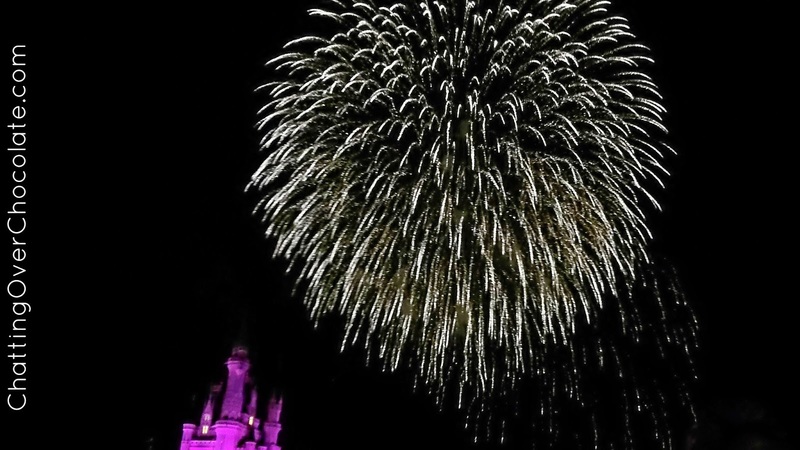 The new one with illuminations would be fun too. My husband was bummed that the segway tour is no longer offered after he saw your guest post. I don't remember what I was doing but he came out to the kitchen and was like "how come we never did the segway tour at Epcot?!" I was like..."well I didn't even know about it! Did you read my guest post?" OH my Gosh! I so want it all!! !